Democratic Rep. Maxine Waters today proclaimed her innocence concerning charges of ethics violations made by the House Ethics Committee and said she will participate in a public hearing rather than admit to any wrongdoing. "I have not violated any House rules," Waters said in a statement today. "Therefore, I simply will not be forced to admit to something I did not do." 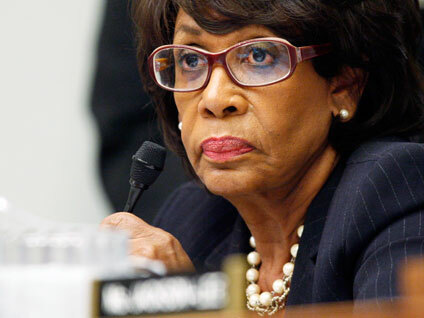 The House Ethics Committee this afternoon announced in a statement that it has formed an "adjudicatory subcommittee" to consider ethics violations charges against Waters. The subcommittee has yet to determine when it will meet. The committee also today released an 80-page report, submitted in August 2009 by the Office of Congressional Ethics (OCE), detailing the allegations against Waters. The investigation pertains to the assistance Waters gave to a bank to which she had personal connections in getting federal bailout money. In 2008, Waters organized a meeting between Treasury officials and executives from OneUnited Bank, where her husband was once a board member and had large investments. The bank received $12 million from the federal government's Troubled Asset Relief Program. Waters, who serves on the House Financial Services Committee, has defended her request for the meeting as part of her efforts to advocate on behalf of minority-owned businesses. "The record will clearly show that in advocating on behalf of minority banks neither my office nor I benefited in any way, engaged in improper action or influenced anyone," Waters said in her statement today. "Additionally, the OCE acknowledges that I have fully disclosed my assets as required by House rules, even going above and beyond the requirements by disclosing my assets at several Financial Services Committee hearings. In sum, the case against me has no merit." Waters says in her statement that the meeting in question was requested and scheduled on behalf of the National Bankers Association (NBA), a trade organization that represents the interests of minority-owned banks, not on behalf of OneUnited Bank. She also emphasizes that the meeting -- which she did not attend -- resulted in no action. The OCE report says that Waters told the OCE that she requested the meeting on behalf of Robert Cooper and Kevin Cohee. According to the report, "At the time of the request, Mr. Cooper identified himself as the Chairman-elect of the National Bankers Association (NBA) and also as Vice-President and Senior Counsel for OneUnited. Mr. Cohee was one of the principle founders of OneUnited and the Chairman and CEO of the bank." Waters said today the OCE has "drawn negative inferences where there are none and twisted facts to fit its faulty conclusions. After a lengthy investigation, the report released today only shows: No benefit, no improper action, no failure to disclose, no one influenced: no case." Democratic Rep. Charlie Rangel of New York will also face an ethics trial this fall. The trials stand in stark contrast to House Speaker Nancy Pelosi's promise to "drain the Swamp" of corruption, and it poses a challenge for Democrats heading into the fall midterm elections. Rangel recently released via Twitter an audio statement in which he defends himself.